The mind is the seat of consciousness and experience; pleasure and pain. It covers the body senses, mind intellect and the spirit. In general terms it includes the concept of thinking, reasoning, perception and working of the brain. The faculties of the brain, cover both evident levels, conscious and sub-conscious. The natural process helps to overpower confusion, fear, anxiety, stress, pain, sorrows, shocks and despairs; to be up and doing. The mind in certain persons feels that mind is separate from the body but near soul. Please consider that the sense of mind means ‘the thought’ inside our head, so as to make up our mind, change our mind and know our mind. The unconscious mind is always busy removing all the problems facing the man in actual life. Thus, the mind generally means the ability to be aware of things, to think and feel spiritual power, and acquire intellect of body. The mind has the power of knowledge perception, thinking, judgment, language and memory. It holds the qualities of recognition and appreciation and is responsible for processing feelings and emotions resulting in attitudes and actions. The emotions of love, hate, fear and joy are more primitive or subjective in nature and should be seen different from the mind as such. Thus the mind connected by worldly desires, worries, fears and frustrations, longs to enjoy liberty and greatness. The synonyms of mind include attention, consciousness, genius, imagination, intellect, instinct, perception, psyche power, spiritual talent, wisdom etc. The antonym suggests ignorance, incapability, physicality, stupidity, amnesia, disbelief etc. These comprise various significant functions and things which can be represented and interpreted through the mind, covering attachments, goals, commitments, plans, end desires etc. The mental contents including thoughts, concepts, emotions, percepts and intentions must be observed carefully. Thinking involves the symbolic ideas or data, as we form concepts, engage in problem-solving, reasoning and making decisions. The philosophy of mind covers the study of mental events, functions, properties, consciousness and their relations with the physical body. Mental health is a state of emotional and psychological well being in individuals to meet the ordinary demands of everyday life. • Think deeply and carefully to avoid your problems. Schedule your time in positive aspect to remove worries. • Develop confidence in yourself that you can to achieve success. You attain possible thoughts to face your problems. Mindset is more likely to make the desired improvements. • The skills get fixed and unchangeable. Be optimistic about your abilities to regulate your behaviour for self-control. • Try to reprise the things you are struggling for desirable advice and properties. Determine goals and set future through hard work and persistence. • Think to justify carefully and logically about the events that you are personalizing. • Exert self-control to deal with those stressors having reduced self-control. Try relaxation techniques, get some exercise, and talk to friends and family. • Work of thinking more positively. Control anger, mental tension to overcome failures. Control mind and follow self-discipline. • A healthy personality is not rigid and continues to evolve along with the development of the mind. • You can be contented and simple in life only when you have learnt to control your desires and demands. • Try to be simple in thoughts, contents and deeds through honest means and hard work. • Create a positive plan for your life, form good habits, reduce stress, control anger through mental tension and overcome doubts. • Continue self-improvement to remove strain. • Regarding philosophy, the phenomenon of intelligence and consciousness be regarded as an aspect of reality. • Avoid renunciation. Believe in yourself that you a change during required circumstances. 1. If you want peace of mind, stop fighting with illegal and negative thoughts. 2. The peace of mind is clearly an internal matter, with own thoughts, to extend outwards. 3. This quality improves health and flow of energy, so that life becomes full of joy and satisfaction. 4. Promise yourself to be so strong that nothing disturbs your peace of mind. 5. Anger is worst, to be destroyer about working of mind. 6. Some are born great, some achieve greatness and others have trust of greatness on the rightist state of mind. 7. We cannot believe that God brings and place on earth as very ordinary person. 8. Mind is the facility of humans or other animals by which it thinks, perceives feels, remembers and desires to its best on earth. 9. Mind is the real opinion of sentiments, desire of inclination, focus of thoughts and attention. According to philosophy, the phenomena of intelligence and consciousness be regarded as material or immaterial aspects of reality. 10. Control anger and mental tension to overcome failures or doubts of mind. Get rid of strains and hindrances. 11. Reward your self successful, self control efforts and forming good habits. 12. The time, talents and energy are gifts of nature each day. Noble thoughts and aspirations are perennial source of strength, stability and peace. Improve thoughts and deeds if you want to be peaceful in life. Goodness in man is comparable to the fragrance of a flower. Goodness implies many qualities, particularly in the spirit of sacrifice and helpfulness. These efforts ennoble, elevate and enlighten the mind for being near to divine power. The deviation ennobles and purifies the mind and elevates man to the higher levels of life. Love is the very essence and elixir of life. Respect is commanded and not demanded. Tolerance like forgiveness is a sign of maturity of mind and is conductive to keeping the mind calm and unruffled. Let us be humble when crowns our efforts and accept defeat. Humor requires a clean and broad heart. Please believe that God alone is perfect and follow His perfection for mind. Hunan beings have to acquire Godhood during the moments of sublimity and creativity. The person who cherishes the love in totality attains health and happiness. Religious devotion enables every person to acquire control over mind, senses and the body. It also attains the union of the individual soul with universal spirit. The prayer and meditation can be held in silence of mind, although it is true to enhance silence. This quality can enable to understand the voice of Divine and attain enlightenment. The silence holds the key of peace, strength and stability of mind. The people must learn to control the mind with the spirit of love, in order to get over the consistency in life. Meditation increases the power of thinking, concentration and memory. It also opens the gateway to inner evolution, transformation and spiritual bliss. It makes the man calm, composed and courageous. Meditation is the quickest remedy for all the disorders and disturbances of mind (including body). Your spirit of devotion and compassion, tolerance and forgiveness, service and sacrifice, cooperation and help, and your faith in the Divine grow from more and more. Peace comes from the absence of evil, ignorance and hatred. The writer is an eminent former Professor of Zoology; he has more than 3 decades of teaching experience in various colleges of KUK He can be reached on his Mobile No:+91-94160 48789 and email: trilokichugh@gmail.com . 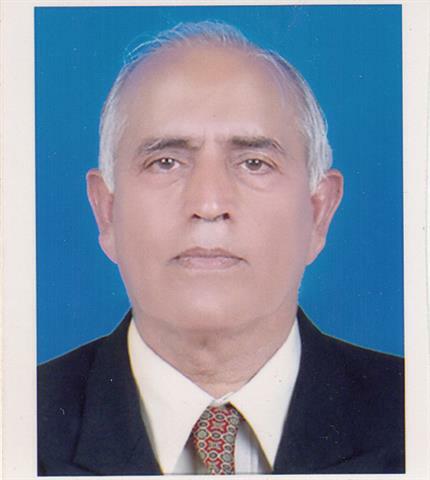 Dr Chugh has published many Zoology research papers; Guided several M.Phil students for research; M.Sc. Secured 2nd Position BITS PILANI 1968; Gold Medalist in French Diploma 1981 KUK; Principal at SSS Boys College for 7 years. The views expressed in the article are exclusive to Dr TN Chugh. Interviews of: Kisan Neta Vikal Pachar, Mustard Farmer Sukhdev Singh and Hafed Manager Om Parkash Bishnoi. Visuals of Mustard Arrival in Sirsa Anaj Mandi. Procurement of mustard has started in Sirsa's Grain Market since 28th March. But farmers coming to sell their mustard crop in grain market are facing a lot of hardship. The government has fixed Rs4200-00 as MSP (Minimum Support Price) for this season, but the same was to be offered to only those Mustard farmers who had already registered their Names for MSP eligibility online on eKharid Web Portal. Those left out for various reasons rue that what is there fault in it. There was a lukewarm response to the online self-registration on eKharid due to technical difficulties and technology gap, even the web Portal crashed several times during the very limited days it was open for registration. Thereafter Govt. made arrangements for collecting offline Registration detail forms from farmers via Saksham Workers, Agriculture Department, and Revenue Department employees. After collecting these forms these were to be uploaded on eKharid by Revenue and Agriculture departments. The data entry done later is said to be flawed, resulting in denial in the Anaj Mandi as the data of several farmers does not match with UID and Bank details etc. Even those who have registered online properly are being asked to get their Girdawaris re-verified from the revenue department. Watch Video: Dr Prem C Verma IRS Nominated as Member Olympic Council of Asia Standing Committee. Dr Prem Verma a laid back humble personality belongs to Sirsa, hence this video report. Dr Verma, an IRS, is the Indian member inducted into the Entourage Committee of OCA for a four-year period between 2019 and 2023. This was decided by the OCA General Assembly which met at Bangkok early this month. Incidentally, Dr Verma is one of the 13 Indians who has been nominated to various Standing Committees of OCA. Positive thinking is mental and emotional attitude that focuses on the bright aspects of life and expects positive results. A person with positive thinking becomes mentally strong. Always try to lead a purposeful and happy existence so as to understand the meanings and message of life. Move forward in the positive direction with self confidence and hope, not only to accomplish what is noble and grand, but also to overcome every weakness. These qualities and talents help to promote healthy personality and noble aspirations. You can move from success to success and strength to strength if you replace hatred with love, jealousy with affection, anger with forgiveness, selfishness with sacrifice, greed with contentment, fear with courage, despair with hope and inertia with action, only if you cherish faith in Divine. 2. Focus good things, however small. 3. Find better aspects even in bad situations. 5. Transform negative self talk into positive self condition and focus on the present. 6. Find positive friends, mentors and co-ordinate workers. 7. Relate what is a happy, successful and optimistic person to know about life. 8. Positive thinking is a popular concept and sometimes it can feel little phase or idea. But physical and mental benefits of positive thinking are demonstrated by multiple confidences to improve your mood. 9. Reduce hypertension, depression and stress related disorders. 10.Smile makes you attractive which changes your mood, relieves stress and helps you stay positive. 11. Your life is reflection of better thoughts. Think well. You can be rich by your habits, values, vision and discipline. Bravery means readiness to face and tolerate danger and sufferings for a cause. The courage supplements the spirit of bravery. These are the signs of healthy personality, which have to be preserved and promoted carefully. One can clearly understand the meaning and message of life only one can shed all fear and act bravely. Every person needs to be brave enough in tolerating the sorrow and suffering, fighting out diseases in meeting with definite end of physical existence. Therefore, be brave and courageous, if you wish to fulfill something grand and noble. Sure enough, the body is fed several times a day. The mind has also to be nourished with thoughts conductive to strength, stability and peace. Walk away from people who do not care for you and are opportunistic. Walk towards love, peace, kindness and goodness. Always try to act in the right direction towards God and with bliss. Ø Always work with self confidence and best hope. Ø Try to overcome your weakness. Ø Develop healthy personality and fulfill your noble aspiration. Ø Move from success to success and strength to strength. Ø Always try to replace hatred with love, jealousy with affection, anger with forgiveness, selfishness with sacrifice, greed with contentment, fear with courage, despair with hope and inertia with actions. Ø Always must cherish faith in Divine to gain His grace. Ø Develop courage and patience to carry on struggle. Ø Always try to learn and cherish matching facts and statements. Ø Observe sufficient silence as key to peace, strength and stability of mind. Prayers can promote required qualities. Will power in man enables him to accept challenges and achieve success. Ø The choice of positive attitudes includes happiness, kindness, giving respect and proper work. Ø Be brave enough to start your wills as inspirational attitude, optimism, positive affirmation and thinking. Ø Believe in your heart and life full of passion, purpose, magic and miracles. Ø Motivate yourself, love yourself and keep moving forward. Ø Do not waste your time in anger, regret, worries and grudges. Ø Please believe that you are braver than you think, more talented than you know and capable of more than you imagine. Ø Watch your positive thoughts to realize better words, actions, habits, character, thinking, achieving desired destiny. Ø Stay real, loyal and awake but away from falsehood. Ø Be strong but not rude, kind but not cruel, be humble but not arrogant. Try to enjoy purposeful and happy existence. Be honest to yourself in thoughts and deeds if you want to be peaceful in life. The journey of life becomes joyous, exiting and happy if the goals in different walks are well conceived and illuminated with the help of thoughts. The love and respect conveys the sharing of feeling the feelings of others with empathy and participating actively in their struggle against suffering and misery. You have to be tolerant and helpful to others. The more advancement of person towards Divine allows the purpose and meaning of life. Thus a good temperament is very significant to promote personality. Every day is special if you think so, every moment is memorable if you feel so, life is beautiful if you live so, think positive and live happy to celebrate life. Faith makes everything possible, hope makes everything work, and love makes everything beautiful; may you have all the three aspects begin every day. The quality of life cannot be raised unless we raise the texture of our thoughts and depth of our understanding. · Develop self-awareness to know you and acknowledge that there are aspects wished to change. · Assert your intention to be confident and made a commitment. Change your thinking to include restrictive attitude and belief. Use your imagination as confident person. · Decide right now to treat yourself with love and respect. Accept only the best for yourself till the rest of your life. · Please observe that yourself image is made up of three core feelings—self worth, competence and belonging (self esteem). · The three charming lines suggest that—Yesterday is but a dream of happiness, Today is well lived to make this day and Every tomorrow is a vision of hope. · A strong motivation comes from a passionate desire for pleasure, with avoidance of pain. · Determination is the quality for giving all success. · An Indian poem motivates ‘Satyam, Shivam, Sundaram’. · Calmness and confidence are closely related and these start with physical relaxation of our mind. · Be a good listener for understanding genuine respect and admiration. Have something good t o say and express well. Appeal to the emotions through wise saying. Express yourself clearly saying true to your needs and values. · Emotional intelligence is central for high self esteem, confidence and proper response. We try to live in truth and analyzing concepts about conduct. The first step in obedience is to attend meditation everyday with sufficient and positive results. The will of ‘GOD’ be done. The impact of adapting this approach in life is fruitful. What to say of happiness and peace of mind lies in adhering to the principle of His will. Live the life as house holder to advance the spirituality and place ourselves in the master’s refuge (as safe fellow). The human life is perishable but best lived when the affection and gratitude we feel of real love. Contributed by: Dr. Triloki Nath Chugh. H.E.S.-I Retired. National Seminar at JCDV Memorial College Inter-Disciplinary Approaches with special reference to Science & Technology, Humanity and Commerce held at JCDV on 21st February 2019. Sr Journalist Ajit Rai from Delhi was Keynote Speaker on the occasion. Dr Jai Parkash Hood, Principal of the college convened the seminar. The religion means with, the belief in God or gods and the activities connected with this understanding. Religion is the cultural system of particular behavior and practices in this world. It relates humanity to supernatural, beyond normal human experience; knowledge, understanding, or spiritual elements. Different religions may or may not contain various elements ranging from divine sacred thing, faith, supernatural being or some sort of intimacy that will provide power for the rest of life. Religious practices may include ceremony, a speech on moral subject, spoken description, prayer, music, art, dance, public services or other aspects of human culture. Religions have sacred histories and narrations which may be preserved in sacred scriptures as symbols and holy place that aims mostly to give a meaning of life. The estimated number of religions seems to be about 10,000 in the word. Christianity, Islam, Hinduism, Buddhism and Folk religion are five important religions which seem to be followed by about 84% person in this world. Human beings have to work honestly, with full zeal and determination, making of life lively mainly through demotion in preferred religion. Everyone has to think good and do good so as to acquire goodness in every event. The Latin word, ’Religionem or Religio’ means, respect for what is sacred, reverence for God, sense of right, moral obligation, purity and reverence of God or gods. The Greek word is ‘Threskia’ and Sanskrit word is ‘Dharma’, Faith has been considerable source of religious belief. 1. Soul is very important seat of character and emotions but non-physical part of a person. 2. It determines the mood, attitude, energy, state and strength of mind. 3. It still exists or remains alive even after the death of each individual. Thus multifarious spiritual qualities are heavenly, immortal entity with divine source, linked with extreme energy, emotions, passions, enthusiasm, eagerness, vitality, communication and many other favorable aspects. 4. The confidence improves upon the objectives of life through truth, delight and sincerity, achieved through regular meditation. 5. The word comes from Latin language, ‘Spiritualis or Spiritus’ which refers to soul, courage and vigor breath. 6. The term spirit means a vital principle in man and animals. 7. The traditional meaning of spirituality is the process of re-formation which means ‘aims to recover the original shape of man and the image of God. 8. The soul adopts the virtuous trend of truth and morality. Soul leaves the materialistic desires or incidents to attain purity and strength. 9. We must improve ourselves to acquire the virtuous habits of honesty, truthfulness, humility, tolerance, submission and contentment. 10. Try to achieve strong consciousness to merge with God through meditation because it is faithful, emotional submission of soul to God. 11. Soul is everlasting, spiritual and immortal entity of all living beings. 12. Spirituality extends beyond an expression of religion that creates harmony with the universe. 13. The terms of spirituality and religion remain different. Almighty power of God is presently available for us for spiritual goal. You can move on from success to success, strength to strength, if you replace hatred with love, jealousy with affection, anger with forgiveness, selfishness with sacrifice, greed with contentment, fear with courage, despair with hope and inertia with refined actions. Very important of all actions is to cherish Divine faith and eminent grace.  R has a set of diagnostic rules but S is virtuous to reason and question about everything.  R may threaten and frighten but S gives inner peace.  R may speak of sins and guilt’s but S says to learn from errors.  R represses every falsehood, whereas, S brings closer to truth.  R does not tolerate any question and S questions everything.  R is human. It is an organization with rules made by human beings, whereas, S is Divine without human rules.  R is looking for you to believe but you have S to look for it to believe.  R feeds on fear, whereas, S feeds on trust and faith.  R makes us renounce the world to follow God but S makes us to live in God without renouncing our existing lives.  Sometimes, R may not be followed but S is inner meditation.  R fills us with dreams of glory in paradise but S makes us live in glory and paradise on earth.  R makes us believe in eternal life, whereas S makes in aware of eternal life.  R promises life after death, whereas, S has to find God in our interior during the current life before death. We are spiritual beings who go to human experience. Ultimately, religion may be dark but spirituality is light to repel darkness. It unites all creatures and finally it gives life even to dead. Prayer happens when we put our hands together to focus and expect blessings from God. We try to say specific religious words in favor of God. We must think positive and wish goodness for others during prayer. However, there are certain persons who try to think or even convey a few words of hatred against specific religion, which becomes terrible in mind. Actually, the prayer is true liberation, happy feeling and genuine worship. Our satisfaction is truly realized by our heart, mind and soul. The Morning Prayer is attention on seeking Gods plan to need encouragement, peace, strength and blessings. Everyone must surrender oneself gladly to the divine will power. Such devotion of each person can make him strong, stable and blissful in mind. Cherishing of faith, truly allows divine grace. Be strong but not rude, be kind but not weak, be humble but not timid, and be proud but not arrogant. Meaning of life is to be integrative, selfless and loving. We must make every moment of life prominent, so that our life remains worth living. Develop winning spirit; work honestly with full zeal and determination. GOD is the sole regulator, operator, care taker, navigator, savior and all benevolent divine power. His pure and energetic power is presented in every particle and soul of universe. He is the sole destiny regulator and embodiment of love. The word ‘GOD’ has three letters in which ‘G’ stands for generator (Brahma), ‘O’ for operator (Vishnu), and ‘D’ for destructor (Mahesh). He regulates everything material, astral and celestial. He is the destiny regulator beyond the limits of time. We must follow that our God is omnipresent, omnipotent, omniscient and all benevolent divine power. He is one and eternal with grace, fathomless, infinite and illimitable. Meditation is faithful, emotional and devotional submission of soul with God. Living spiritual master is the true saint, who is one with God. He has definite experience of mentor and philosopher for guiding meditation. He has the secret massage of God words to promote disciples through initiation. These sacred words, if repeated, can elaborate the real meaning for immense energy to create good form of life in this world and help to perceive eternal divine melody. The Latin word, ‘Medito’ means to think, contemplate and ponder, In Sanskrit, the word ‘Simran’ means focusing on Divine. Meditation enables to detach from claim of old thoughts but to acquire best future positive thoughts. We have to modify ourselves for acquiring truthfulness, honesty, tolerance, humility, submission and contentment when we try to search for God from within. Our body gets transformed as temple of God and our heart as seat of God. However many will counter some of the above all said with the following arguments. The Future of Truth and Meaning What is religion, and what is spirituality? They have a common subject-matter, but their approaches are very different. The writer is an eminent former Professor of Zoology; he has more than 3 decades of teaching experience in various colleges of KUK He can be reached on his Mobile No:+91-94160 48789 and email: trilokichugh@gmail.com . 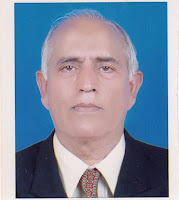 Dr Chugh has published many Zoology research papers; Guided several M.Phil students for research; M.Sc. Secured 2nd Position BITS PILANI 1968; Gold Medalist in French Diploma 1981 KUK; Prinicipal at SSS Boys College for 7 years. The views expressed in the article are exclusive to Dr TN Chugh.